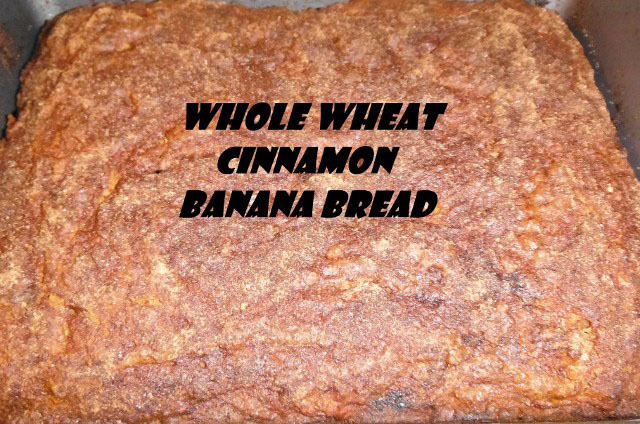 I needed a way of increasing my whole wheat consumption without adding sugar to my diet; solution, Whole Wheat Cinnamon Banana Bread. 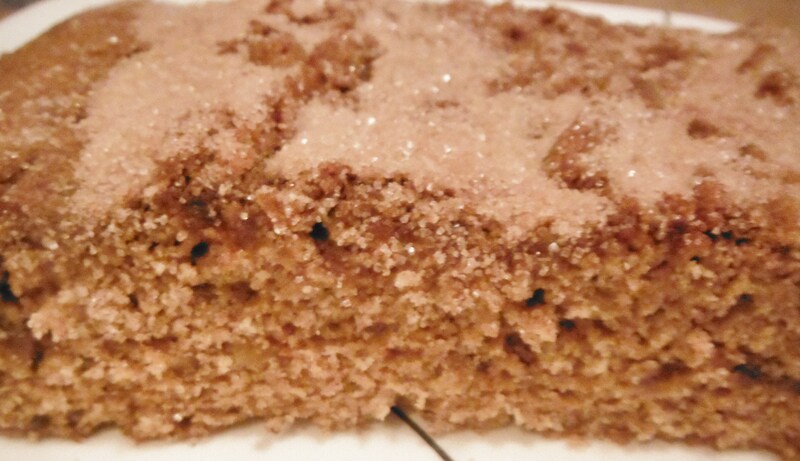 This bread is moist, packed with a cinnamon sugar (stevia) flavor, and easy to make. I have created two recipes for this bread, one that is 100% organic whole wheat with no added sugar and one that uses organic all purpose flour. 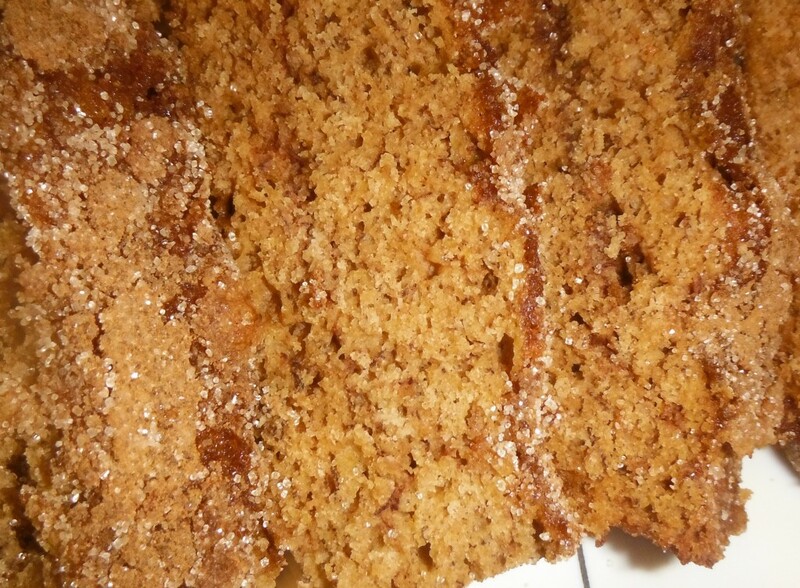 organic whole wheat, and organic sugar. Choose which version will meet your needs (the nutritional information is for the 100% whole wheat and stevia recipe). Mix bananas, butter, 1/4 cup + 2 Tbsp. stevia/3/4 cup sugar, egg, vanilla, almond extract, and 1 tsp. cinnamon. Sprinkle baking soda and sea salt on top of banana mixture. Mix remaining stevia/sugar and cinnamon together. Sprinkle cinnamon mixture on top of dough. Bake for 40 – 60 minutes (time will depend on pan size and moisture from bananas). Cut bread into 12 equal parts. 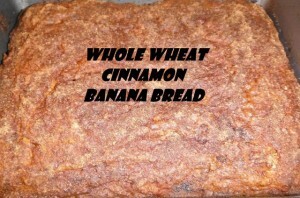 Enjoy your Whole Wheat Cinnamon Banana Bread!! !